If you have not yet seen the 9 and 10 news article about the Green Lake boat here is the link. IT IS THAT TIME OF YEAR AGAIN!! CHECK OUT YOUR WATER RESCUE EQUIPMENT, INSPECT, CLEAN AND CHECK DRY SUITS FOR LEAKS! OPEN CLASSES THIS SEASON – SEE THE SCHEDULE ON OUR TRAINING PAGE! ABOUT MRC… MRC has been training rescue personnel, for approximately 20 years, from more than 900 Fire Departments and Public Safety Agencies in Michigan and surrounding states. 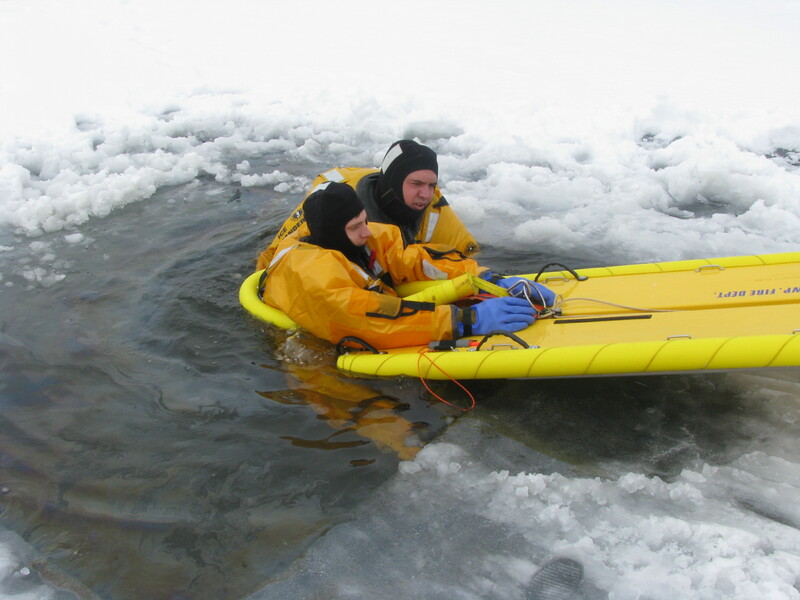 We specialize in water and ice rescue training as well as state-of-art equipment supplies. Owners Mark and Teri Hoskin are both certified instructors in Ice Rescue and Basic River Rescue as well as being certified in Swiftwater/Flood Rescue. Teri is also certified in Personal Watercraft Rescue from the Fire and Rescue Training Institute at the University of Missouri-Columbia. Mark is employed as a Battalion Chief/Medic for the Harrison Township Fire Department on Lake St. Clair. Mark has been involved in more than 350 water rescue incidents and is responsible for water rescue operations for Harrison Township FD including surface and subsurface search and rescue operations. Rescue Diving, Ice Rescue Diving and State of Michigan Fire Service Instructor are among other certificates he maintains. REMEMBER – A SAFE RESCUE IS NO ACCIDENT!